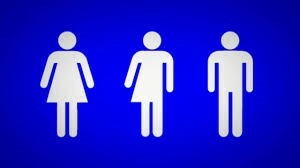 Bathroom Policies; What Are Yours? American history is at something of a flashpoint on the topic of bathrooms, and, who goes where. The conversation currently taking place in corporate boardrooms, schools, state legislatures and even the White House, stems at least in part from a state law passed last month which requires transgender individuals to use bathrooms that match their gender at birth. Strong views and commentary are likely to emerge even further on both sides of this topic, and it is one that could leave a lasting mark on corporate real estate and facilities. What have the discussions been within your company? Has it been mostly water cooler talk, or has the company issued a policy or direction on the matter? If you would like to share your feedback with us, please send us an email to marketing@corenetglobal.org. We would like to know if and how this topic is impacting corporate real estate and facilities management.